"Perfectly captures the ambience and situation found in most of these establishment where profit is more important than care except for some of the staff who ease the mundane existence of the `inmates`"
In the past they have been referred to as warehouses, almshouses and even asylums for the elderly, incapacitated by age, disease, impoverishment, or family isolation. Today they are referred to as “Nursing” Homes. Nearly six percent of older adults in our society are sheltered in residential facilities that provide a wide range of care. Some good. Many not. But these are our elders, our fathers, mothers and grandparents. Do we somehow forget that when they age? 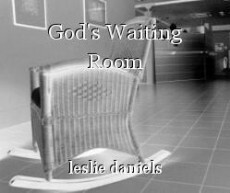 This story is a glimpse into one ‘home’ and to what some residents can present to the uninitiated if you were to visit one of God’s waiting rooms. Because that is what they are. There is only one way out and everyone is well aware of that. Written with love and respect … some sadness and a little humor. To all intents and purposes she was the epitome of a genteel lady, good breeding and cultured. There she sat in the fading light of a late winter’s eve. Her cane at her side and her book placed gently on her lap. Mrs. Cunningham looked up at the others in the room from time to time as they wandered through on their way to god knows where. Sometimes she wondered who they were and what brought them to this place. The bald man who commanded attention by slapping his hand down on his table top annoyed her. She often wanted to just tell him to stop and learn some manners as he ordered people around. She soon forgot her irritation with him as she watched the nurse pushing in the tiny woman with the crippled body and the lovely brightly coloured quilt. Poor dear. Her heart went out to her and she hoped she didn’t suffer too much pain as they attempted to straighten her in her chair before the large picture window. Like many of the other residents, no one knew much about her history. “Nothing to see here,” she said as she continued out into the room, the cane now firmly in her possession. Lots of stories circulated about this one. Apparently, Mrs. Fox had been quite the world traveler in her day. Her journeys began when her husband passed leaving her a very young, extremely rich and attractive widow. Pilgrimages to the Holy lands and cruises to the far corners of the earth took up most of her winters until the monies ran out that is. Sun and surf, Safaris into the wilds of Africa and other exotic locals were just memories now. Her stories however were legendary, offering her captive audiences in the great room on Saturday evenings, an escape. Abruptly Mrs. Fox appeared across the table from her. The nurse tying her restraints to the back of her chair, placed a bib around her neck and put the locks on the wheelchair which was her vehicle of choice minus her cane. The show over, Mrs. Cunningham patted her white hair and pushed a fallen strand back into place and smoothed out her flowered skirt, fussing a bit at a spot on the seam. Probably left over from lunchtime. She pulled her hand crocheted shawl around her shoulders shivering a bit so close to the frosted windows. Opening her little white pocket book that lay on the table before her, she withdrew a tube of hand lotion. Jergens almond scent. Never used any other. With care she opened it and squeezed out a tiny amount which she massaged diligently into the age spots on her long, piano playing fingers. All that was missing from this tableau was her glass of red wine. When her husband had been alive this had been their ritual. One glass before dinner, never more. Just enough in polite society. She never asked for it anymore. Maybe she was resigned to her newer rituals, or maybe, minus her husband, her wine faded into the past like many other things these days. It wasn’t all that long ago that she would have serenaded the little audience here with selections from Chopin or some popular show tunes from Porgy and Bess on the old vintage piano in the corner of the great room. It, and ones like it, had once held pride of place at the center of hundreds of thousands of homes. But that was then - still this was one beautiful instrument crafted at the height of the Victorian era when manufacturers were building their upright pianos with exotic woods and lavish carvings, often producing incredibly ornate and lavish models to suit the décor of the era. Sadly, she shook her head in resignation. Today, her fingers ached with the arthritis that plagued her when the wintry winds blew. Playing was not an option. The clock on the wall signaled five o’clock. The lights came on and the music began to play softly out of the speaker above her. She could smell the food in the next room and hear the helpers arranging those who couldn’t either feed themselves or get to their tables unassisted. It was noisy and chaotic not at all conducive to good digestion, she thought to herself. It might be different if she was able to identify the dinner offering but that was impossible. All the smells mixed together these days and it wasn’t pleasant. Scents and stenches waft down the long corridors mixing with the heat, the cloistering, sweltering, sticky heat combined with disinfectants and cooking oil, all tinged with the unmistakable odor of “old”. Maybe she’d just go back to her room and read. She didn’t need much nourishment at her age. Sighing she stood up and started to the exit. Her steps were unsure and she seemed to use her cane more than normal. Pausing, she straightened her posture, gathered her resolve, and continued across the room. Balancing herself, she leaned on her cane, moving her purse to her other arm. Satisfied with her equilibrium recovered, she continued awkwardly toward the exit. Mabel, her nurse for the evening, came up from behind her and took her arm to steady her. “Umm… Mrs. Cunningham dear, did you dress yourself today?” she asked quietly. “Oh yes,” Mrs. Cunningham replied smiling proudly. Her smile could light up a room. Always could. Mable bent down and gently lifted her skirt to reveal pantyhose rolled down her legs to just above her knees, like the stockings of Mrs. Cunningham’s younger days, virtually hog-tying the poor woman. And from the speaker came ‘A Kiss to Build a Dream on’….to which both women sang, arm in arm as they waltzed down the long, empty hallway. 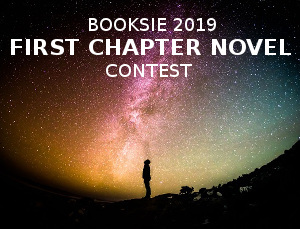 © Copyright 2019 Leslie Daniels. All rights reserved. Thanks for reading and commenting on my story. Much appreciated.